I have entered my "bike to work" phase of my life. In order to do this I had to gear up. Since all of the gear I wanted didn't actually exist I had to get creative. I am rather pleased with the result. 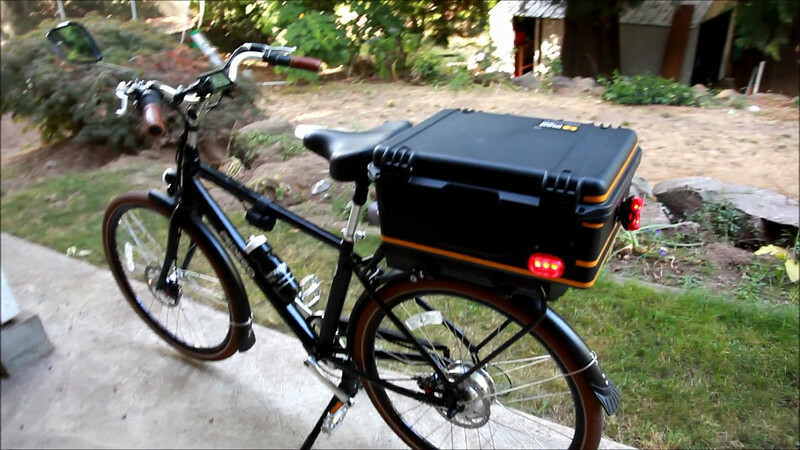 To check out all of the different things I've been working on to setup my ebike the way I want it, be sure to check out the BICYCLE ADVENTURES link. BTW, I am very high on the Pedego company and the Classic City Commuter bicycle. Here are some links about the bike: Pedego Company Website My full review on Amazon My video review on YouTube I am taking pictures and posting remarks about what I am learning as a daily commuter. The front door to the topics and galleries is called BICYCLE ADVENTURES. How did you attach the pelican case to your rack?